This time of year in Minnesota is awesome! The weather is warm, the sun is bright, and the strawberries are in full bloom (a little later than normal this year). The boys (and mom and dad too) have been indulging in fresh strawberries for about a week now, YUMMY… Today we are even making a fresh strawberry pie-mmmmmm! 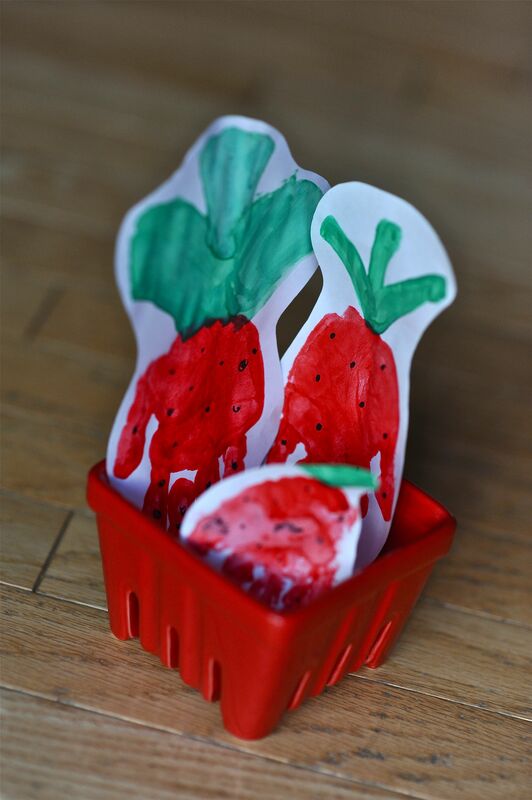 What better time to do a strawberry craft! This one is pretty simple and cute as a button! 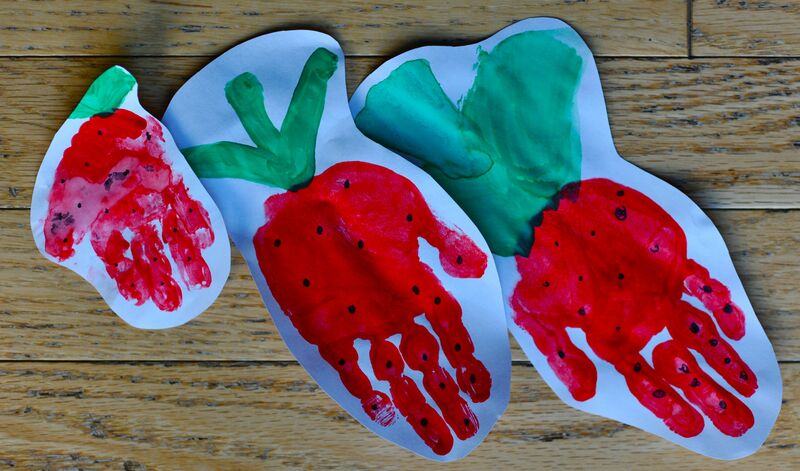 Paint your child’s hand, or let them paint their own, red. Have them keep their fingers together and stamp it on the paper with the fingers pointed down. Wash the messy fingers! 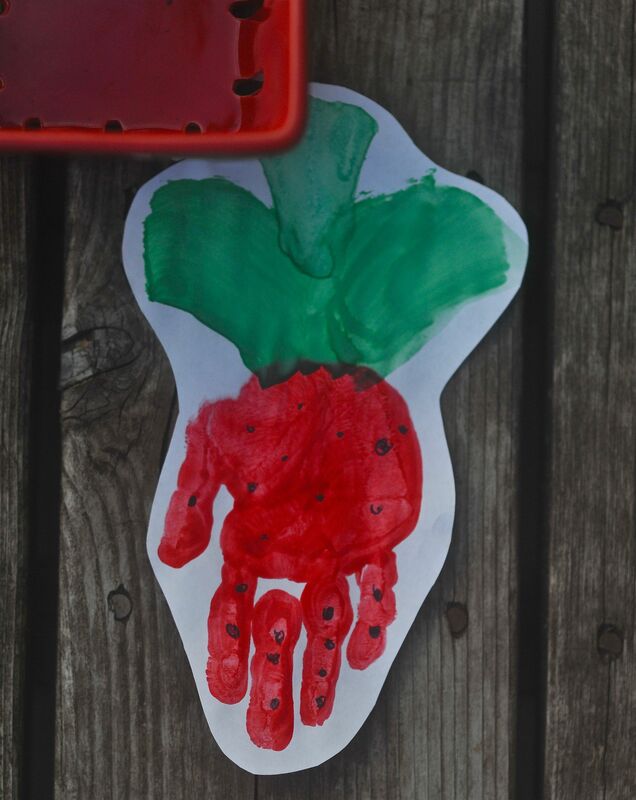 Once the hand print is dry you can have your child draw the stem and seeds with the green paint and black marker… Fun, easy and adorable!